Students use maps and readings to become acquainted with the geography of Mesopotamia and the factors that made it a fruitful home for early civilization. Then they explore the climate, topography, and flood patterns of the region. Finally, they connect Mesopotamia‚Äôs water issues to modern history and create a poster or brochure. In this experience, students use maps and readings to become acquainted with the geography of Mesopotamia and the factors that made it a fruitful home for early civilization. Then they explore the climate, topography, and flood patterns of the region. Finally, they connect Mesopotamia’s water issues to modern history and create a poster or brochure. 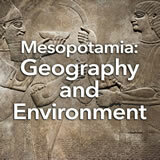 Locate and describe the physical geography of Mesopotamian civilization. 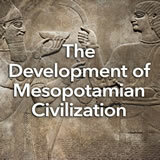 Identify the ways that geography influenced early Mesopotamian civilization. It’s 2400 B.C.E. and you’re in what will someday be called Iraq. Around you, amazing things are happening. Cities are growing. People are inventing not only tools, but also entire fields of study, like science and literature. Why is it happening here and now? In this experience, you will learn about the factors that prompted the rise of the Earth’s first civilization. Look at the map of Mesopotamia, and notice its features. Locate Mesopotamia’s bodies of water and its relation to other areas. Think about why that area is shown in green. Based on what you see on the map, why do you think Mesopotamia was well suited for the growth of an early civilization? Discuss student responses. 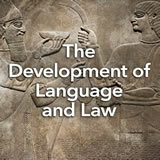 Students may notice that Mesopotamia is fertile compared to its neighboring lands because of its two major rivers. The rivers lead into the Persian Gulf, providing good access to other areas for trade and conquest. The Fertile Crescent is flat land south of mountainous areas, so it received runoff from mountain rains, bringing spring floods to increase its fertility and replenish its rivers. (Mesopotamia itself had little rain, except for its hilly northern region.) The Mediterranean Sea, at the western edge of Mesopotamia, was another major access route, leading to Egypt and beyond. The Complete List of Learning Experiences in Mesopotamia Unit.